Following the major shift to the cloud, we noticed other technologies and solutions falling into place. All in one platforms began to emerge, and digital collaboration has grown to a new level. The cloud has paved way for chat apps, collaboration apps, and remote communication to take over. We predict that 2017 will build on these trends, and continue innovation in new ways. Bringing together even more solutions and platforms to work seamlessly will empower businesses to get more done, and feel less restricted by their communications platforms. Within just a few short years, the mobile workforce has grown, and it has grown quickly. We have already started to see mobility become a forefront and major stepping stone for most, if not all UC providers. With mobile apps becoming the new norm, it’s more of a surprise for a provider to not have their own app. In fact, one could argue that the need for remote and mobile collaboration is partly, if not mostly, responsible for the major shift in the UC industry. With more and more mobile devices, connectivity reaching new levels – just look at 5G and what that will do – workers feel a new sense of freedom, while always staying connected. This is the key sentiment to understand with mobility, the idea of always connected anywhere, at any time. Into 2017, it is safe to say the mobility trend will of course continue and expand as new technologies and paradigms make their way into the market. With major developments, such as the previously mentioned 5G, and even WebRTC, we’ll notice a huge impact on what is possible, expanding beyond our current capabilities. 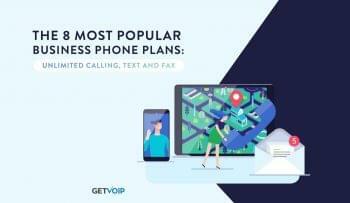 The next generation of networking, 5G will of course all us to stay connoted in even more locations and on the go, while WebRTC will allow even more video chat participation and seamless interactions online without the need to download plugins or apps. Video conferencing, document sharing, and constant connectivity are the heart of UC mobility and will continue to grow as we develop easier ways to connected. Also in 2016, the UC industry had seen a massive rise in the use of workplace chat. In fact, it was a prediction of many that for the 2016 trends that held true. However, the original idea that email would take a bit of a backseat, or be replaced, by workplace chat hasn’t been quite met. While the idea of email being replaced is probably still just a dream – we even still use your desk phones even though we have email – persistent cloud based chat will absolutely continue to creep into new offices, with so many benefits over email. Instant messaging has been around just about as long as the internet with IRC and even MSN or Yahoo Messenger, but with these new cloud based apps, there is a level of continuity and context that was missing previously. The real power in these cloud based chat apps is that no matter what device you log on – phone, computer, tablet – your chat will be exactly how you left it, existing almost forever in one constant thread. If you need to see that memo or reminder Bob sent you last week, you don’t have to bug him again for it, just scroll up your chat log and there it lives. In the past year, we’ve looked at Slack easily the most popular in the space, and its many competitors. With independent platforms showing the need and want for such a tool, it would make sense to see this come included in standard UC stacks in the near future. As UC stacks and platforms continue to evolve, support for developers to toy with these new tools has grown as well. Creating a seamless flow of work, allowing users to link together, or integrate, apps and platforms has existed for some time but in a much different state than today. Previously, it was almost a monumental task, requiring independent developer’s hours and hours of hard work to integrate business apps with their communication apps. However, thanks to providers now supplying users with their unique API, or application program interface, it is becoming easier than ever to link together multiple platforms and apps – because that’s exactly what an API is meant to do. This increased level of integration will of course boost productivity, and allow users to continue to tailor and flex their tools and platforms to truly fit their team’s needs. Integration of a CRM and text based customer support line, for example, will really benefit agents in helping them stay on top of all the necessary data. Other simple integrations, such as Google Mail or Calendar into Slack, helps keep tasks and emails organized to a much higher degree. Even Vonage CEO Alan Masarek shared a similar sentiment, of bridging together the islands of previously independent platforms. In the coming year, we will see even greater API support from providers, with developers taking advantage of these new connections in new ways. As a result of the previous trends, there will be a massive rise in what can be called contextual collaboration. Thanks to the persistent chat, and APIs to create more and more integrations, users will be able to collaborate in totally new ways – with complete context. For example, instead of emailing back and forth a revised copy of a draft, two workers could jump into say a Cisco Spark room, and import a living breathing word document that can be edited live, right in the chat window. This puts the context of the collaboration front and center, and allows work to flow freely around the context. Instead of details and explanations being buried in long emails, and downloading 15 copies of the same draft with only minor changes, work will happen directly in line with the document. This trend will mostly be born out of these workplace chat apps, and as we see more providers adopting these apps, this form of collaboration will quickly spread. The development of new integrations will only allow us to continue to grow this contextual collaboration, linking together more and more apps and platforms to your workplace chat will allow users to share different files and work – instead of just a word document maybe you’ll be editing an image in photoshop. 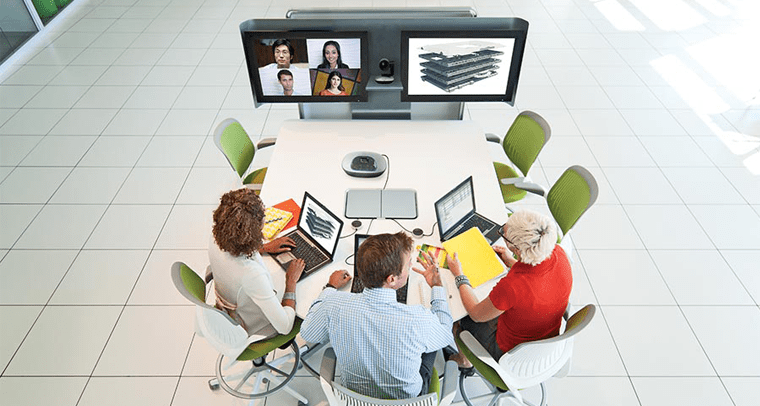 Video conferencing, with other tools like screen sharing, will also expand contextual collaboration thanks to WebRTC, allowing users from across the country or globe to collaborate in new methods. The driving factor behind just about all of these developing trends in UC can really be boiled down to one idea: an increase in flexibility and agility of a businesses’ communications platform. Safe to say, most if not all UC platforms will begin to look a bit more agile and flexible in the year to come. 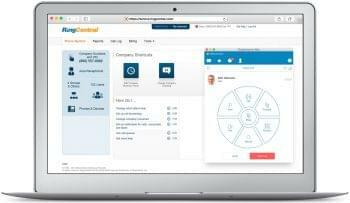 With new tools to allow for mobile, remote workers, always connected and contextual collaboration – and new integrations being developed almost daily – businesses won’t have to feel restricted or constrained by their UC solution. 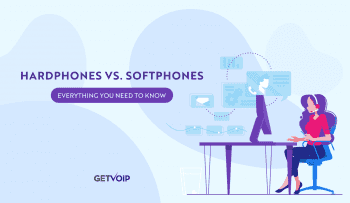 Previously, VoIP shed a few major pain points of standard telephony with SIP, and eventually the Hosted PBX. Teams can now scale up or down as much as they need with almost zero effort thanks to the cloud nature of these hosted solutions. This will only continue, and UC allow a business to expand and adapt to the team’s needs, as opposed to restricting. If one team needs a new tool, but it doesn’t exist in the platform just yet – developers will be able to adapt and flex the platform to accept that new tool. We don’t think the desk phone is going away just yet, but even this year we are seeing new devise such as Mitel’s desk phones that integrate directly with your mobile devices. Point being, as the UC stack evolves to allow for more mobility, with contextual collaboration and persistent chat, with the ability to build and develop any integrations with APIs, the tools your business uses will become as agile and flexible as the new workers coming into, or even just connecting to, the office. Only time will tell what the true trends UC will see in the upcoming year. However, based on what we’ve seen grow in 2016, and how the workforce is shifting as time goes on, we feel confident enough to make a prediction. Overall, we will notice the continuation of an increase in agility and flexibility. UC will start to look a whole lot different with doors opening from every provider, and APIs become available to truly build a system that works best for your team. These adapted solutions will empower mobility, flexibility, and collaboration from anywhere at anytime. Workplace chat will continue to rise, and we should begin to see native chat baked right into our UC stacks. This past year was an interesting one for UC, and things should only be going up from here.